With less than a week to go, the countdown is on for the wide selection of vehicles set to debut at this year’s New York International Auto Show (NYIAS). This year’s event is set to take place from March 30 to April 8, with previews scheduled to start on March 28 at Jacob Javits Center, and the show plans to offer up tons of futuristic concepts, luxury looks and convenient features that car connoisseurs will be dying to get a glimpse of. This year’s show will have plenty of brands worth seeing. But updates to existing Acura and Honda vehicles are offering much to aspire to. Here are some must-see cars and trucks worth looking for at this year’s event. Honda Sports EV. While Honda usually doesn’t reveal its lineup of vehicles until the days leading up to the event, spectators have much to look forward to based on the renowned brand’s past offerings and current concepts. There have been talks of its Urban EV concept car, which is scheduled to have orders in late 2019 in Europe, but the real excitement is centered around its sports concept car. It’s possible that Honda will remind the public of its concept car the Sports EV Concept. This concept car leverages AI technology via the Honda Automated Network Assistant. This technology offers next-level intelligence with its capacity to understand the influences behind the decisions drivers make by gauging their emotions. Its design also borrows from the past, with references to the 1300 Coupe or the S800 Coupe from Honda’s earlier production days. The Sports EV also features an all-electric platform, which demonstrates Honda’s continued design approach that embraces electric vehicles as the wave of the future. However, this concept car still awaits production news from Honda. While fingers remain crossed for an in-person demo, it’s still worth venturing out to the New York Auto Show to see if Honda has made any further developments or updates to this sporty concept car. Honda Insight Hybrid. The 2019 model of the Honda Insight Hybrid may just yet make its debut at this year’s show. This redesign of earlier versions of the Insight comes in the form of a sedan fully equipped and powered via a 1.5-liter Atkinson cycle engine that leverages a lithium battery and electric power; convenient features, such as Apple CarPlay and Android Auto; and safety technology, including the Honda LaneWatch. 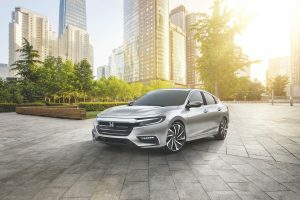 Other safety features that this sedan will come with include the Traffic Sign Recognition and Collision Mitigation Braking System, all as a part of the Honda Sensing technology that makes the brand a leader amongst competitors when it comes to safety. While the Insight is a redesign of its early predecessors from nearly two decades ago, its offerings are worth viewing at this year’s show. Last year Acura previewed its redesign of the 2018 TLX Sedan, the 2018 MDX, the 2018 RDX and 2018 Acura RLX. This year, Acura may just be going bigger and bolder with more updates to its luxury vehicles. See the world debut of the 2019 RDX at the 2018 NYIAS on March 28 at 12:15PM ET. Acura RDX. 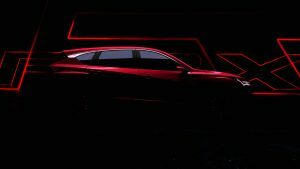 This year’s show will be featuring the world debut of the 2019 Acura RDX, and there’s much to look forward to. The 2019 RDX prototype debuted at the 2018 North American International Auto Show. The RDX offers a luxurious sedan version that embraces acceleration with precision in mind, thanks to its 2.0-liter DOHC VTEC engine and 10-speed automatic transmission, which is an improvement to its i-VTEC engine and six-speed automatic transmission of the 2018 model. This redesign is set to be the most extensive of its kind for Acura in over a decade. This mid-sized SUV’s full redesign will also feature an Android-based interface called True Touchpad, which will feature a tablet-sized screen. The reveal will live stream on March 28 at 12:15 p.m. ET on Facebook. Acura MDX. If you’re looking forward to a luxury option that can fit the family or a fitness machine, then Acura’s MDX SUV is one that you’ll want to keep your eye out for. This SUV offers up comfort, convenience and style all in one package with its smart keyless entry and push-to-start features and sleek design. The vehicle also offers convenience for Apple fans with its Apple CarPlay feature. 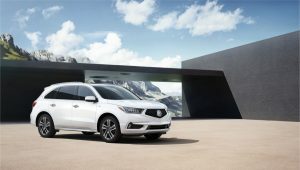 As Acura continues to play with self-driving technology and test-driving features on its Acura RLX scheduled for 2020, it won’t be surprising if the brand slowly introduces features or prototypes that extend this concept to its MDX model for 2019. The 2018 NYIAS has tons in store for automobile aficionados to explore and get excited about, and Honda and Acura vehicles won’t disappoint. From self-driving and AI-technology to turbo-fast engines, you can look forward to an array of features and possible future surprises from both brands for this year’s show. Error - Error validating access token: Session has expired on Tuesday, 06-Feb-18 09:00:00 PST. The current time is Thursday, 25-Apr-19 13:27:10 PDT.